First guy I ever saw sing and play drums was Ringo. The Beatles introduced the world to a lot of new and strange ideas. Soon Gary Lewis and Playboys followed and then …Karen Carpenter. So now a tribute to that strange sub-genre of musicians, The Singing Drummers. The Beatles phenomena was alien enough. Moreover, Ringo playing and singing “Boys” on the Shindig TV program was America’s first real sighting of the “singing drummer.” The Beatles looked, played, sang, dressed and talked different from the rest of us. Now a drummer that sang? Wild stuff. Ringo was always undervalued as a musician while in The Beatles. However, any songwriter could appreciate his unwavering sense of time and feel in an era before the click track; not to mention, his total commitment to the song. How many stickmen took a crack at the vocal mike due to his example? Listen to his stupendous (live in studio) version of “Boys” off the first album “Please Please Me.” It rocks as hard as any other cut on the record (yes….that includes “Twist And Shout”). 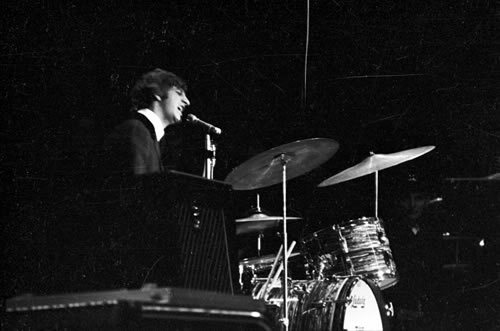 Ringo had his share of solo success as well. Taylor was a twofer. He was a consummate drummer who could rock as hard and fast as any speed metal stickman and also play with the delicacy required of Queen’s nuanced arrangements. But Taylor also shouldered the heaviest onstage burden when it came to singing the difficult and omnipresent high harmony backup vocals. Remember, this is Queen we’re talking about. A band that could fill up a 24 track console with vocals alone. 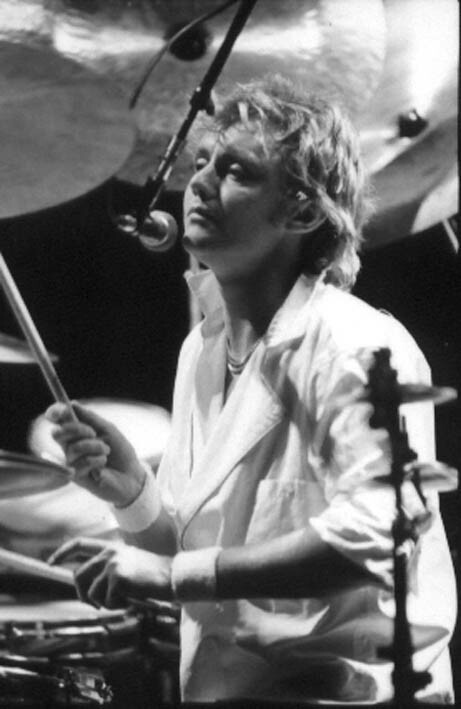 The fact that Queen could even approach their recorded sound onstage is astounding and a tribute to Roger Taylor’s amazing talent. Check out Taylor’s performance on the “Queen Rocks Montreal” DVD. It’s a clinic. Ringo was the prototype but Phil took the roll of the singing drummer to a stratospheric level. First, as Peter Gabriel’s vocal foil in Genesis mark II. Then, as Gabriel’s replacement in the Mega Stadium incarnation of the band. He pushed his star even further and surprised the world as a platinum selling singer/songwriter/solo artist with a capital A. 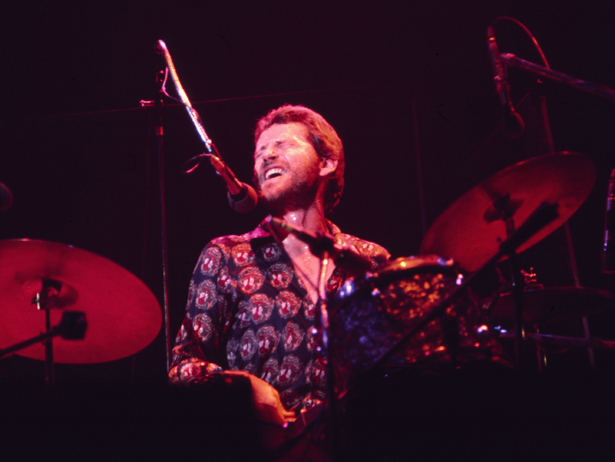 He achieved a level of success previously unheard of for a ‘drummer gone solo.’ His workaholism cost him. He has had debilitating back problems the last decade that has all but silenced his drumming. Probably the least imposing instrumentalist on the list. Henly still stands out as a triple threat singer/drummer/songwriter. Leading The Eagles was no easy task and Henley gave them the solid, economical foundation that the Eagles virgin-tight arrangements required. Unique from the others on this list due to the fact he was his band’s leader and visionary from the get go. And frankly, his best solo efforts were more compelling than most of the lightweight offerings of The Eagles. Reblogged this on The Stereo Lounge. I have to add Peter Hoorelbeke to the list. While his name may not be a household one, he for sure Rare Earth what it was! He would probably get in the top 10 for shure (geddit?). 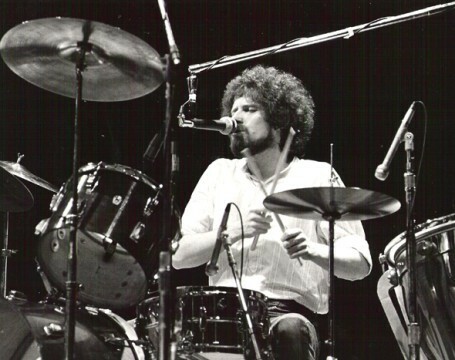 As would Don Brewer for Grand Funk…..
Don Brewer has to be in the top five! He carried half or more of GFR’s vocals, all while raging full steam on the kit!